A ruthless Axis agent code-named Sirocco and an American linguist turned amateur spy find themselves on a collision course in romantic and exotic World War II Morocco. 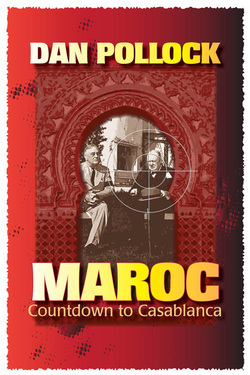 Roosevelt and Churchill are coming to Casablanca. So are Eisenhower and Patton, Montgomery and De Gaulle. For ten days the entire Allied High Command will be gathered in one place--to plan the invasion of Fortress Europe. Learning of the secret conference through an Abwehr intercept, Hitler launches an audacious counterstrike--with one demonic blow he will take out the assembled Allied chieftains and turn the tide of war back in favor of the Reich.